The Backbone Transmission Network (BTRAIN) Project is designed to facilitate the connection of the unserved and underserved areas to the National Transmission Backbone Infrastructure via deployment of hybrid technology infrastructure (underground/aerial/wireless fibre connectivity). 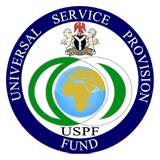 The USPF will implement this project through Public-Private-Partnership (PPP) with Implementers/licensees by offering subsidies determined through efficient, effective and sustainable competitive solution. I. Underground fibre optic cable: Fibre optic cables can also be pulled through underground ducts. Underground cable installation can be buried directly underground or placed into a buried duct. Underground duct installation also provides opportunity for future expansion without the need to dig. This is the most common practice in urban areas. II. Aerial fibre optic cable: is usually used for outside installation on poles. Aerial cable laying method is not hard to implement as it can utilize the existing overhead pole line to install optic fibre cables which saves more in construction costs and shortens the construction period. Some examples are the use of Electricity Distribution companies (Discos) and Railways lines support structures to deploy optic fibre cable route. III. Broadband over Power Lines (BPL) method of power line communication (PLC) that would allow relatively high-speed digital data transmission over the public electric power distribution wiring. IV. Wireless broadband method of broadcasting an Internet connection over radio waves, is a broad term that represents many different technologies. e.g. i. Optical wireless which refers to the combined use of two technologies - conventional radio-frequency (RF) wireless and optical fibre - for telecommunication. The subsidies are determined and awarded through a competitive bidding process. Each year, tender invitations are published for operators to compete for the available subsidies to deploy the fibre optic cables. 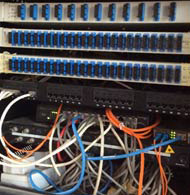 The deployment of fibre optic cable in the target areas enhances network performance and quality of service. 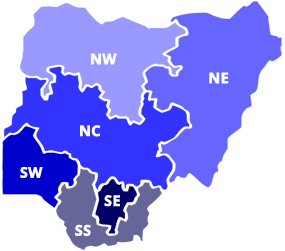 Acceleration of service coverage in commercially unviable areas.